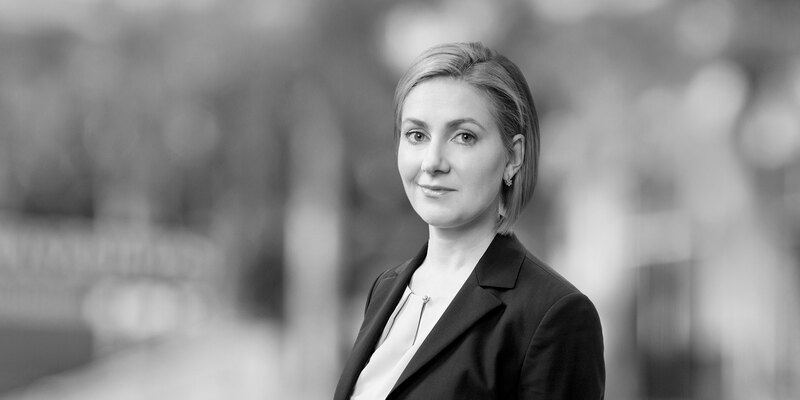 Ksenia specialises in antimonopoly law and regulation of foreign investments. She has a long track record of advising leading Russian and foreign companies on a wide range of antimonopoly matters, including obtaining approval of the Federal Antimonopoly Service (FAS) for various transactions, analysing compliance of documentation for joint ventures with antimonopoly legislation, studying various aspects of companies' operations with a view to bringing them in line with antimonopoly legislation, assessing the procedures for purchasing goods by state companies, and natural monopolies from the viewpoint of their compliance with legislation, as well as representing clients before FAS, including, as part of legal investigations of antimonopoly law violations. 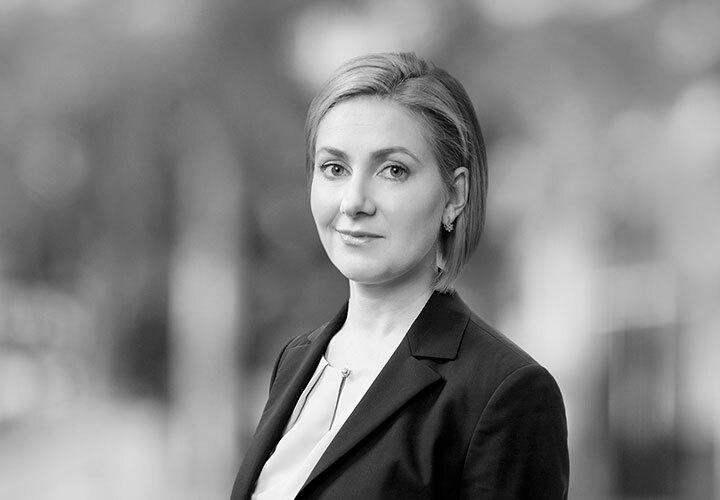 Ksenia is experienced in complex, multijurisdictional projects and, together with her colleagues from other White & Case offices, advices clients on Russian antimonopoly matters and the antimonopoly laws of foreign jurisdictions in connection with cross-border M&A deals and joint ventures. In addition, she has considerable experience of advising leading foreign companies and international organisations on various aspects of the regulation of foreign investments in Russian companies, including those that engage in activities of strategic importance. Her experience includes, in particular: analysing the need for private and state-controlled foreign investors to obtain the approval of the Governmental Commission for Control over Foreign Investments in order to perform mergers and acquisitions and to create joint ventures, preparing documents in order to obtain such approval; as well as a wide range of other matters of regulation involving the foreign investments. Ksenia is a member of the Competition Experts Association, where she is involved in preparing comments to the effective legislation and drafting legal regulations on various antimonopoly matters. Along with this, Ksenia is a regular participant in seminars and conferences devoted to antimonopoly law and the regulation of foreign investments. Representation of Mubadala Development Company (a company owned by UAE, which, in its structure is similar to a sovereign wealth fund) on various issues related to approval of the client's participation in the circa €250 million acquisition of a stake in Pulkovo Airport (as part of an investors consortium) and in the project to develop cancer treatment centres in the Moscow region. Representation of Microsoft on Russian regulatory and antitrust matters and investigations. Representation of Evergreen Marine in the case initiated by FAS on the alleged concerted practices of foreign container shipping companies which were expressed in simultaneous price increase announcements that potentially led to the increase and maintenance of prices and on the following appeal of the negative FAS decision in court. Representation of a Chinese-American multinational technology leader in a high-profile case initiated by FAS on the alleged participation of our client in a cartel and in bid-rigging with respect to a number of public tenders held in 2016. Representation of Rosneftegaz on various foreign investment law issues in connection with the sale of a 19.5 per cent stake in Rosneft Oil Company, the leader in Russia's petroleum industry and the world's largest publicly traded petroleum company, to a consortium of investors. Representation of a major Japanese multinational conglomerate on implementation of a compliance program on antitrust and anti-bribery issues in the conglomerate's subsidiary in Russia. Representation of Wintershall Holding G.m.b.H on a wide range of antitrust matters relating to the asset swap with Gazprom, including obtaining approval of the Federal Antimonopoly Service for the acquisition of rights to determine commercial activities of Gazprom's subsidiaries. Representation of Russian Technologies in connection with analysing the antimonopoly requirements of a number of foreign jurisdictions applicable to a proposed joint venture with a foreign company (together with colleagues from other White & Case offices). Ranked as an "Associate to watch" in Chambers Europe 2019, Competition/Antitrust, Russia. Medal of the Order of Merit for the Fatherland, II degree, for the formation of effective practice of the application of antimonopoly legislation and active participation in the rulemaking activities on competition issues (Decree of the President of the Russian Federation No. 312 as of 10.07.2017). Listed in the Best Lawyers since 2014, Competition/Antitrust, Russia. Amendments to the Foreign Investments Law: a means to tighten control?